In 1947, the luxury liner Queen Mary transmits a routine message which is intercepted by an extraterrestrial intelligence. A dying alien world uses the beacon to transport a mother and her two young children to the ship amid flashing electrical lights and a raging storm. James and Jess Bennett, a GI and his British war bride returning to New York are astounded by the apparition of a woman with her two children who gradually assumes corporeal shapes. Jess is drawn to the pathetic woman and accepts her silent entreaty to take her children. As the woman retreats into fog and disappears, the Bennett’s return to their cabin with their children. Despite the biological math being off a bit, the Bennett’s claim the children as their own and raise them on the family farm. Flash forward to the present. 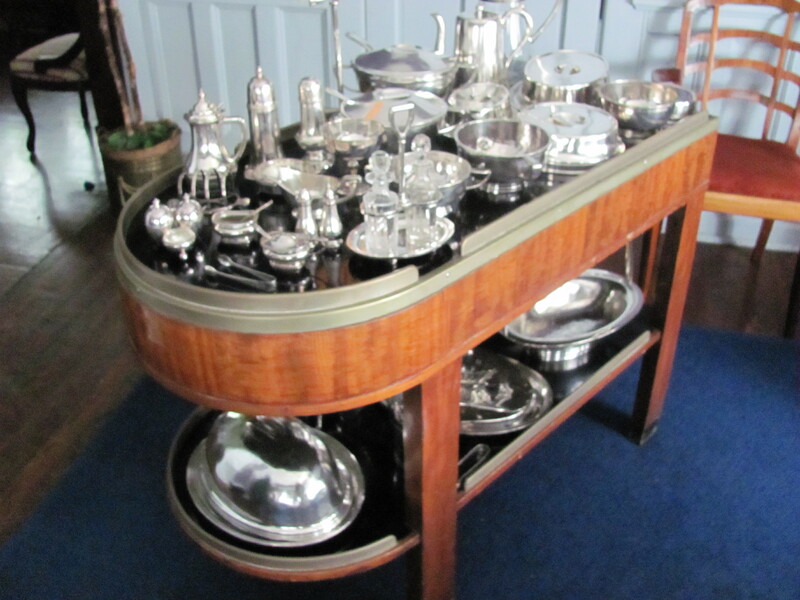 Guy Turner, a melancholy black film maker, is tasked with filming a history of the Queen Mary. While the film will be a boost to his career, his personal life has recently fallen into shambles. His girlfriend of many years gave him “the ultimatum.” While he was fine with marriage, the idea of bringing children into the world was intimidating – so much that he allowed the love of his life to leave. When Guy interviews James and Jess who are now divorced for his film, he never imagined he would be drawn into their lives and another extraterrestrial visit. When the flashing lights and storms appear and decades-old messages are received signaling another visit, his friend, a government employee he’d shared the couple’s strange story with, demands that he become involved in the new visitation. The Travelers goes beyond fantasy to portray the life journeys of the characters to the limits of anxiety, despair, grief, and joy. A great read that not only entertains but challenges the reader to put him or herself in the shoes of the characters and perhaps examine his/her own priorities in life. The Travelers is author Keith Wayne McCoy’s debut novel with Champagne Book Group: Burst. The Travelers was a quarter-finalist in the 2011 Amazon Breakthrough Novel Award. Click the cover for buy link. 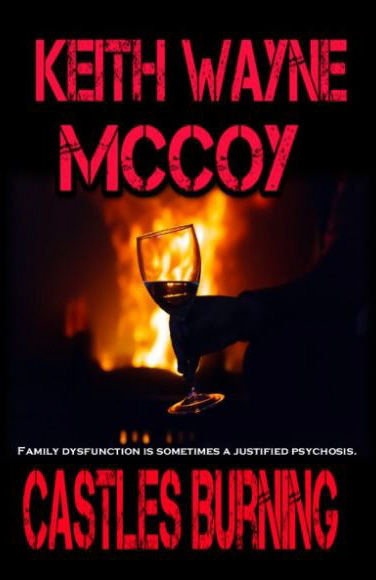 I’m pleased to host author Keith Wayne McCoy at An Author’s Desk. Keith’s book, The Travelers, is a new release from BURST, Champagne Book Group’s fantasy/scifi imprint. Check out the blurb and buy links below. 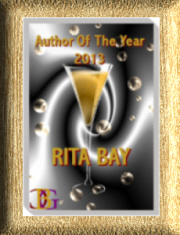 Thank you Rita for inviting me to post on your popular blog. 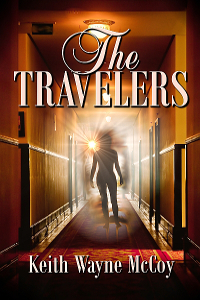 My debut novel “The Travelers”, an urban fantasy, was released Monday, February 3, 2014 with Burst. And on Friday, February 7, 2014, my novella “Castles Burning” was contracted, also with Burst. A very productive, exhilarating week to say the least. I’d like to discuss my own approach to writing here and take no offense at those authors who are countered to it. I went to college in the early 90s and was taught that the proper steps for writing were creating and revising, re-editing, query letters via the post office with SASE, and, of course, rejection letters. The internet was not prominent at all back then and the idea of submitting query letters electronically was unheard of. I am amused by the contemplation of my mentors today in the world of Kindle, Nook, and iPad. Every single publishing house I queried required electronic interaction. I even signed my contract electronically. But I personally feel that the electronic approach is superior to the chapters or even the full manuscript. One editor who requested a manuscript replied via email that “slush piles” are a thing of the past. The writer still has the harrowing wait but it comes much faster. I am pleased to be part of the ebook phenomenon. As for “The Travelers”, it was completely hand-written on yellow legal pads and revised and revised again before finally being typed in Word. As Rita Bay can attest, I am emphatically not computer literate. But I am learning. I must. We all must. The “Big Six” in New York are no longer the only means of becoming published and many, if not most of my friends and family, prefer the electronic editions as they can take them on vacation, to lunch time at work, and the air flight. I scratch notes of lyrical sentences, dialogue, and plot possibilities on any piece of paper available whether it be a grocery bag, a calculator tape, or even the back of junk mail envelopes. When the idea hits, write it down immediately as I promise you will not remember it for a later, more convenient time. I have even woke up in the night with a conversation or scene description in mind and scrambled to the tiny notebook I keep on the nightstand. So, my author’s desk is everywhere a literary thought comes. That’s not to say that sitting at a blank computer screen and contemplating what to type first is not a perfectly valid method for writing. But I want the physical presence of the written word first and foremost. Although the novel has fantasy elements, it is essentially a character-study of a World War II GI and his British war bride who have an extraterrestrial encounter with an otherworldly, desperate mother and her two small children. My college professor read the manuscript before I began querying and told me that if it were a movie, it would be a David Lynch version of the film Ordinary People. I took this as a compliment. Thanks again for inviting me, Rita! Buy The Travellers HERE or click the cover.